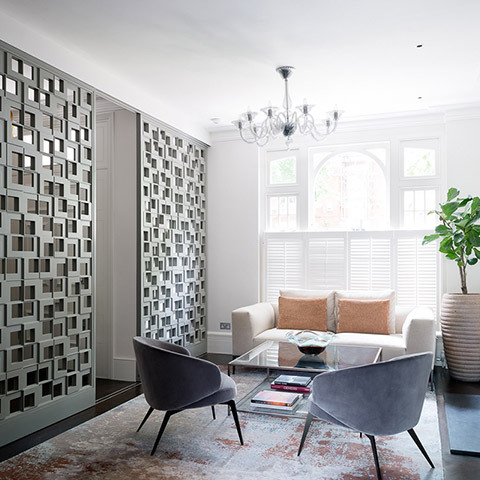 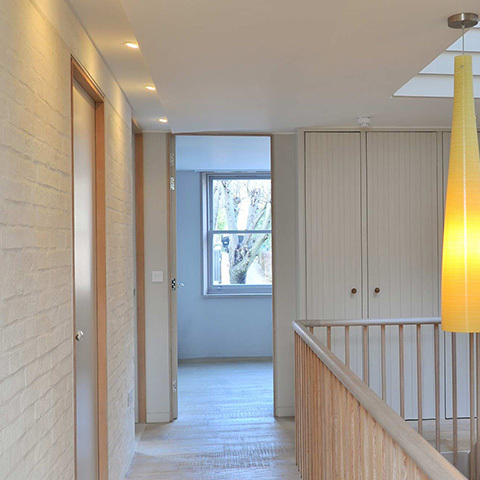 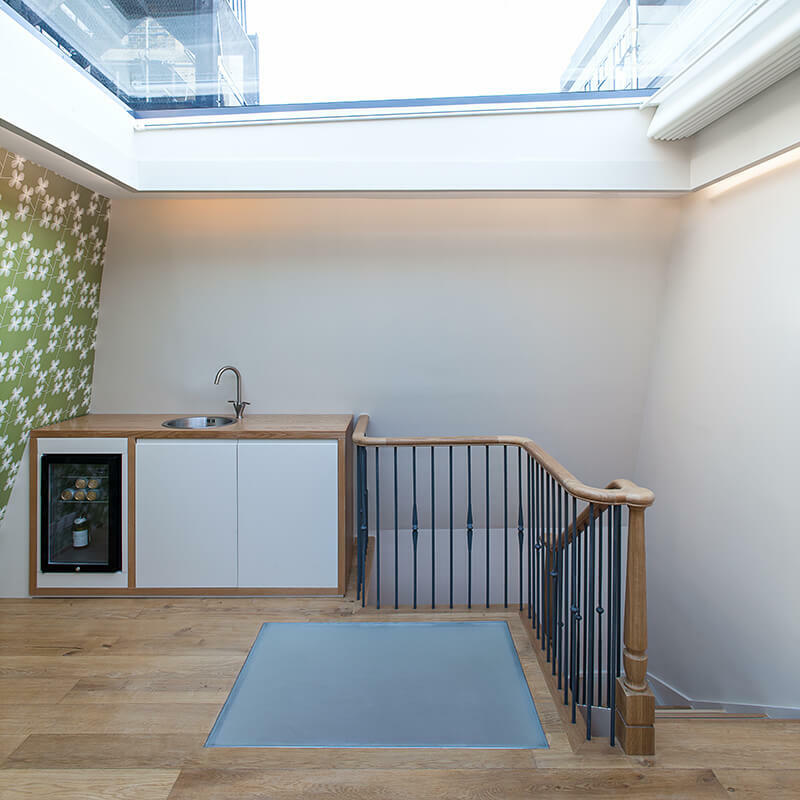 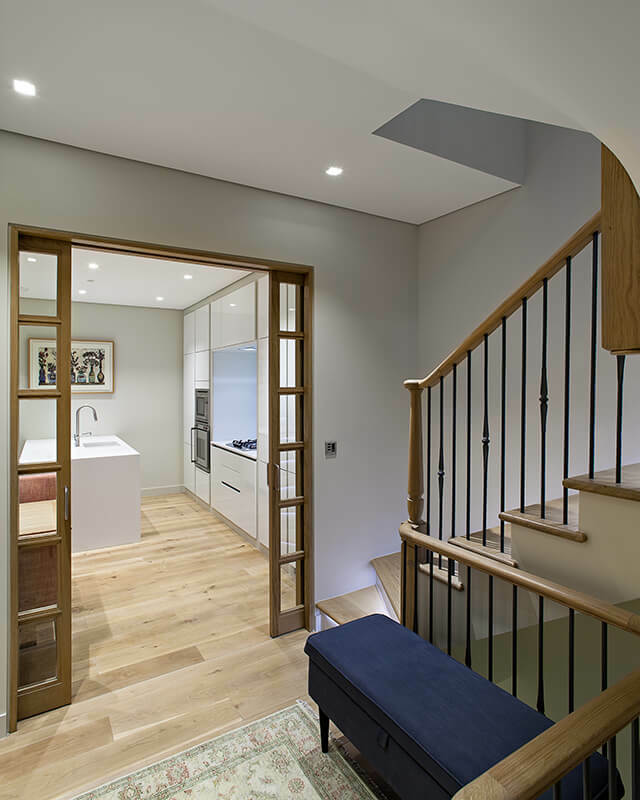 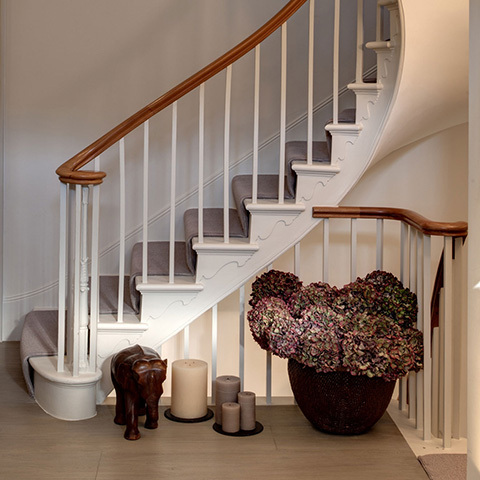 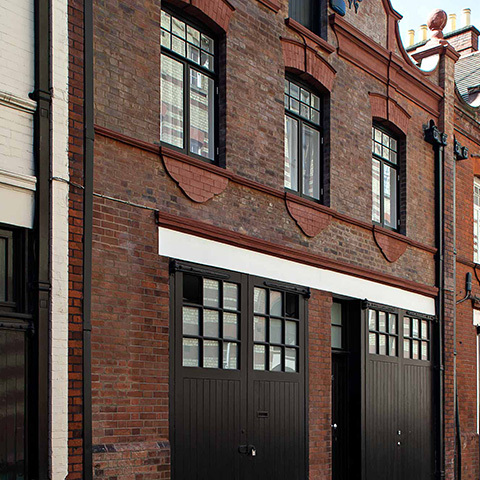 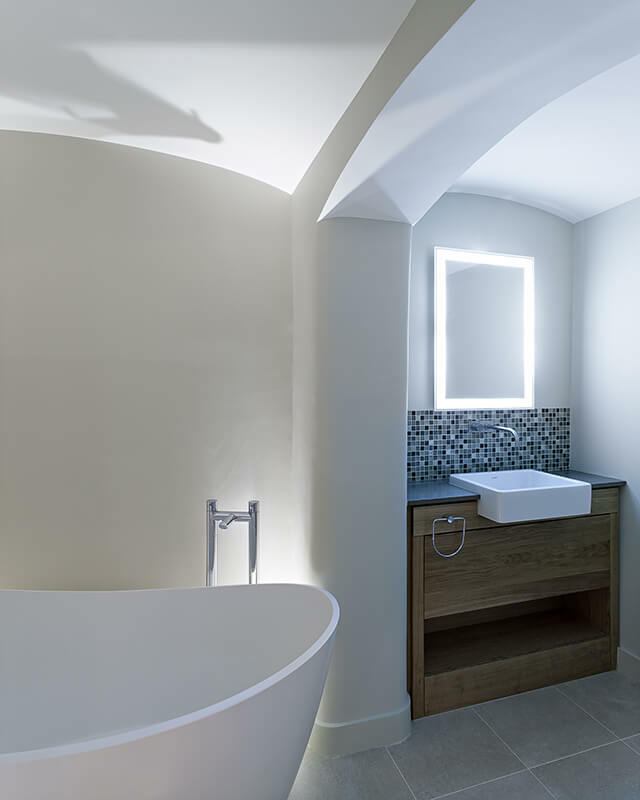 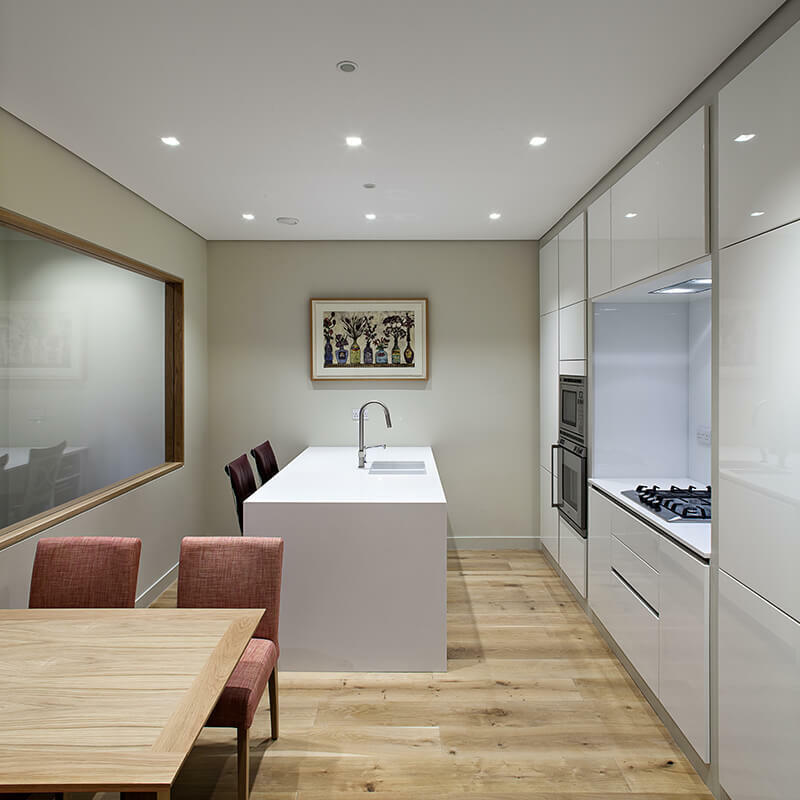 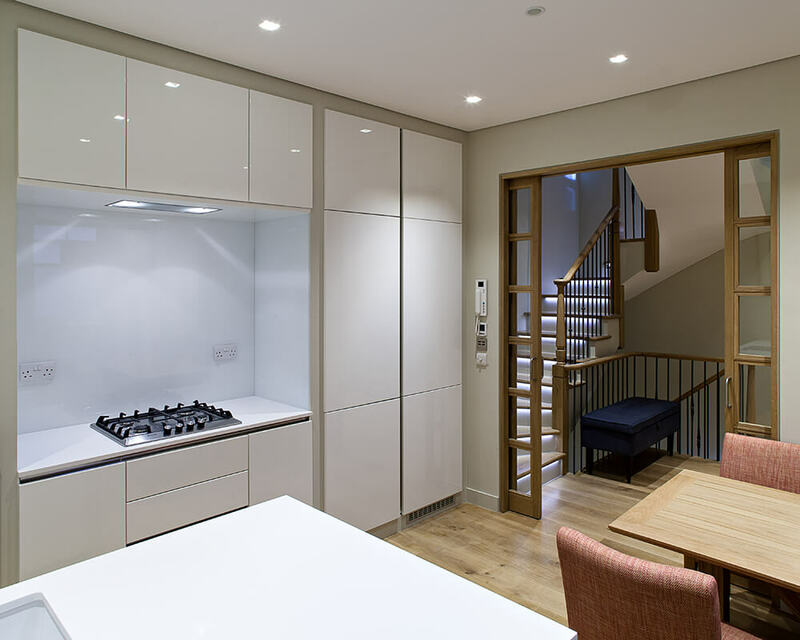 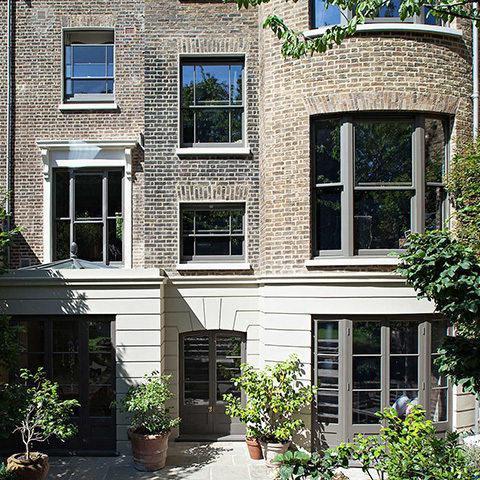 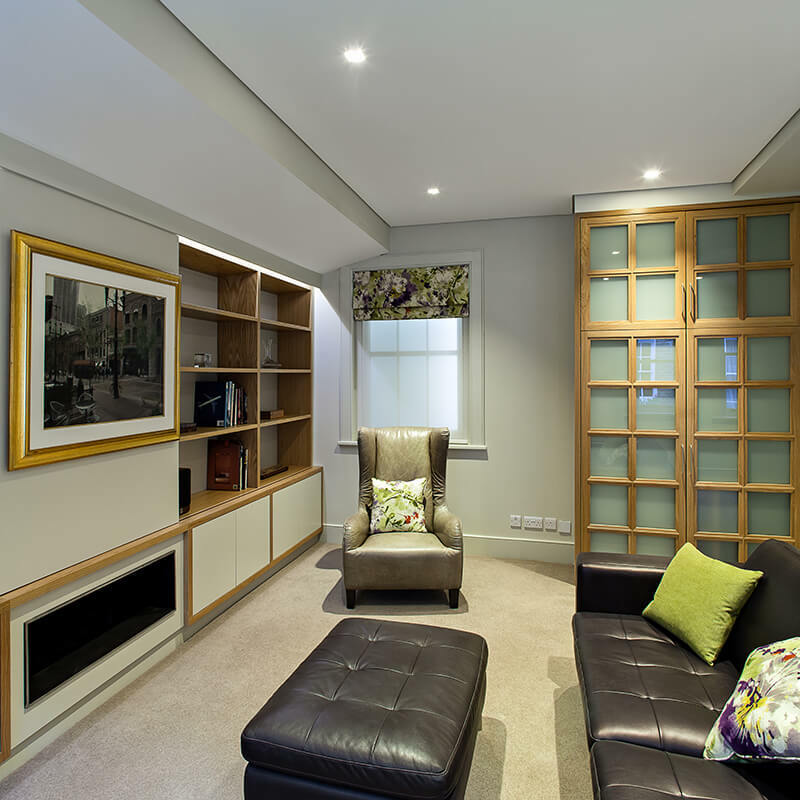 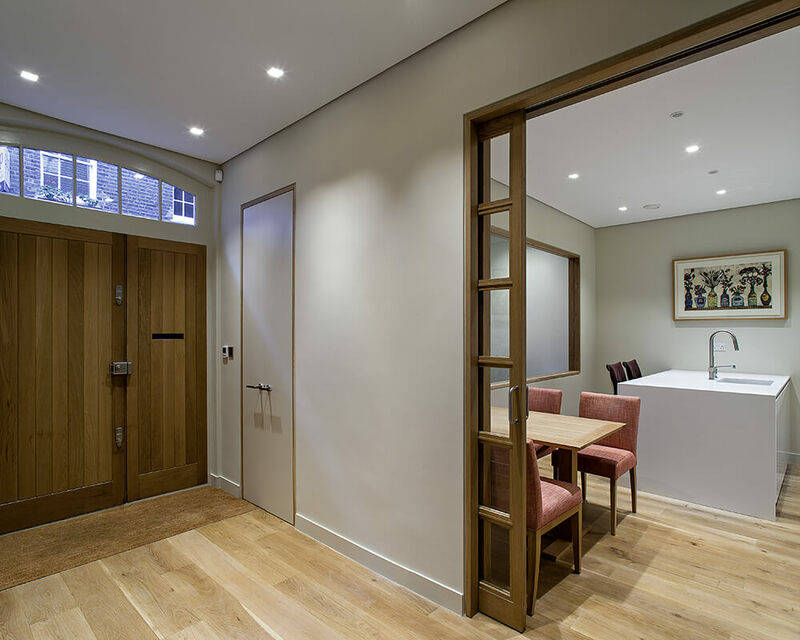 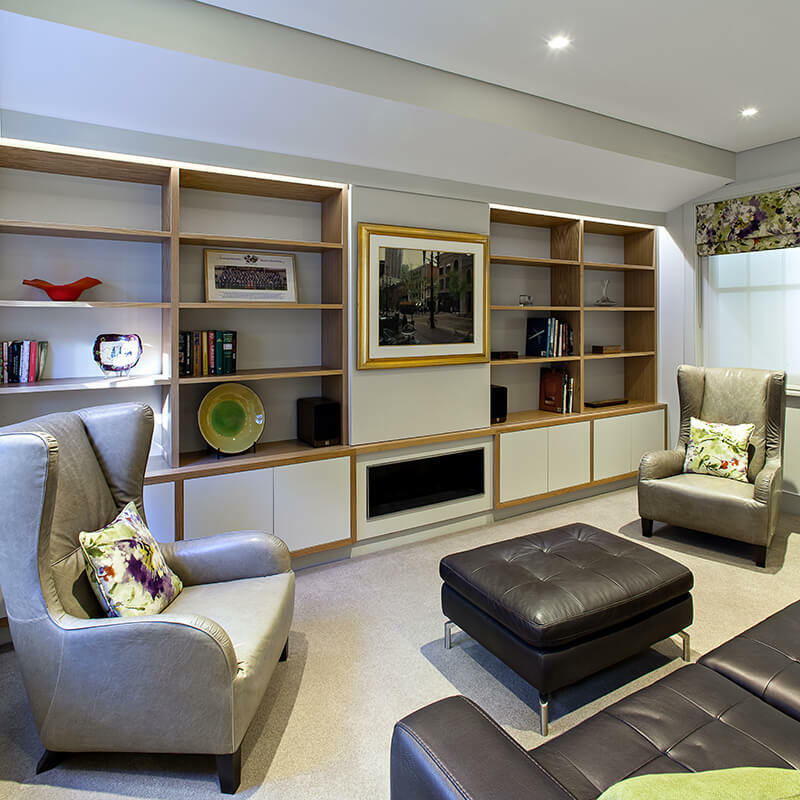 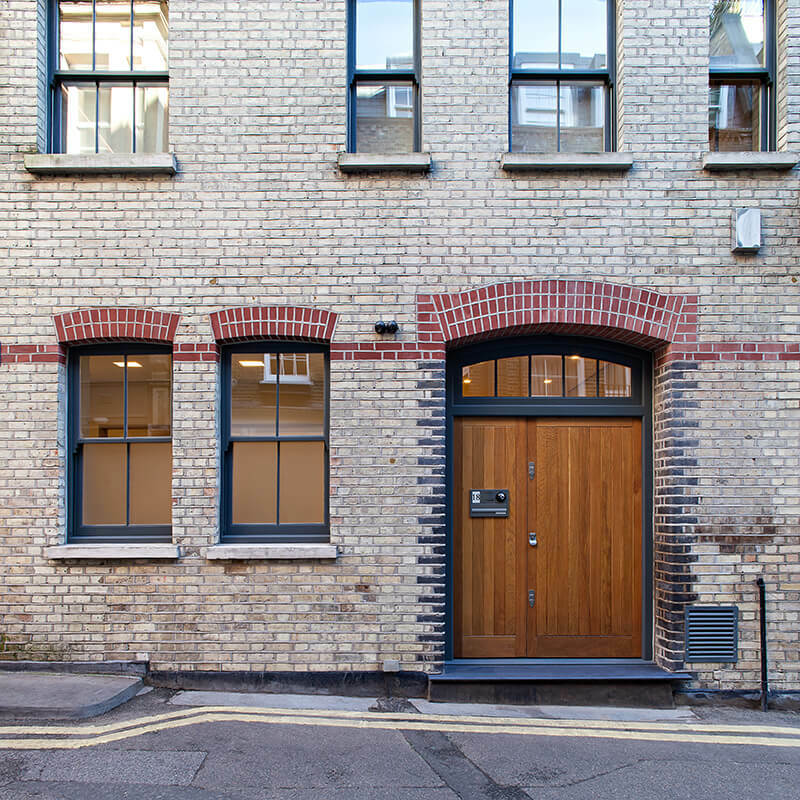 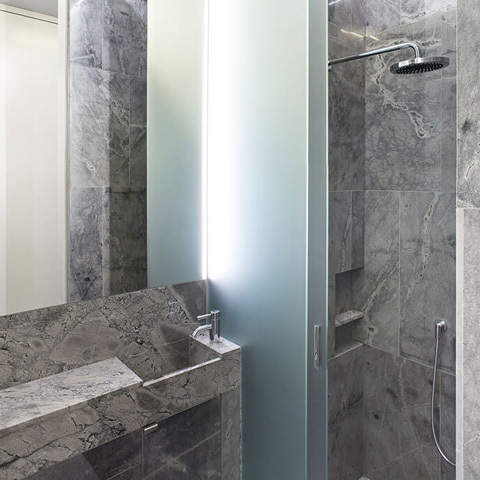 The complete refurbishment of a post war 3 storey plus basement mews property in the heart of St Jame’s London. 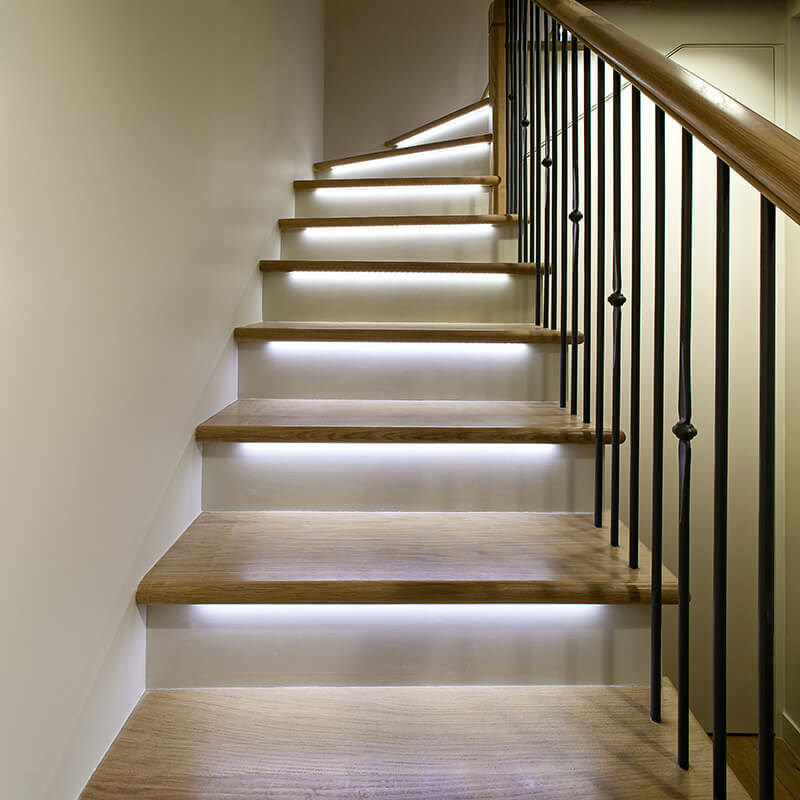 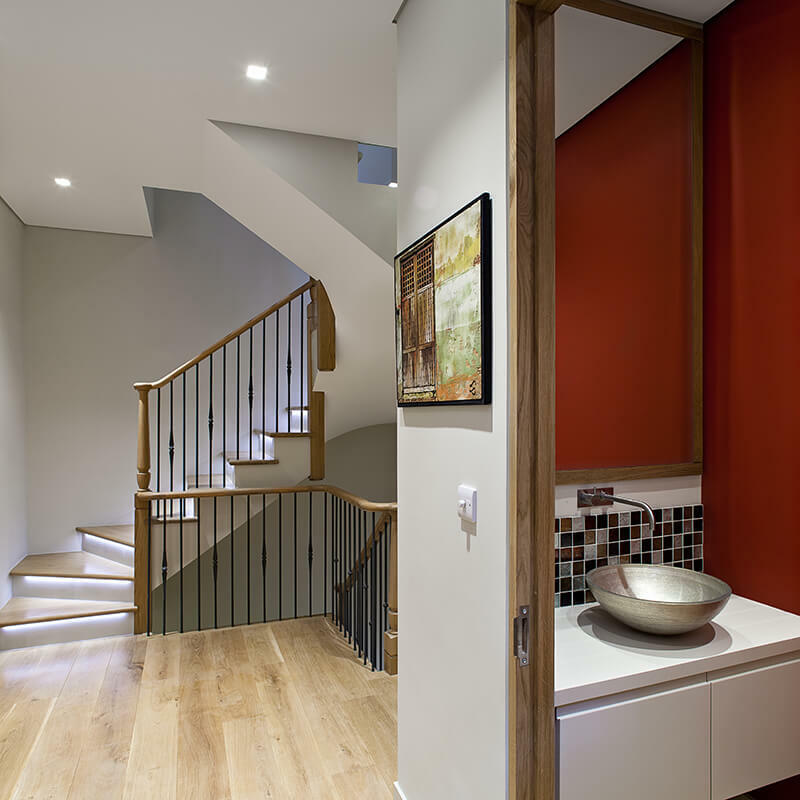 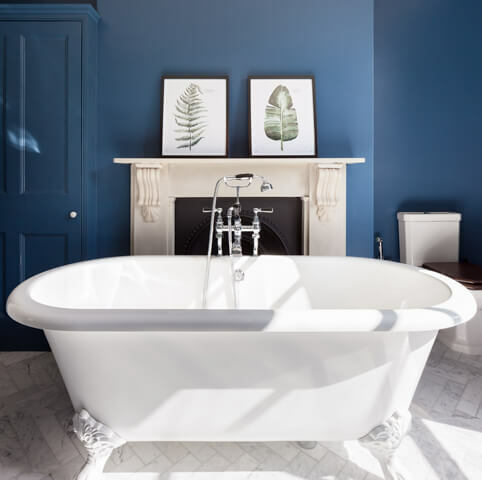 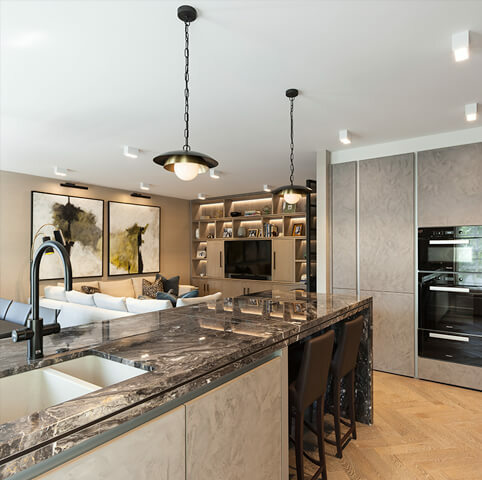 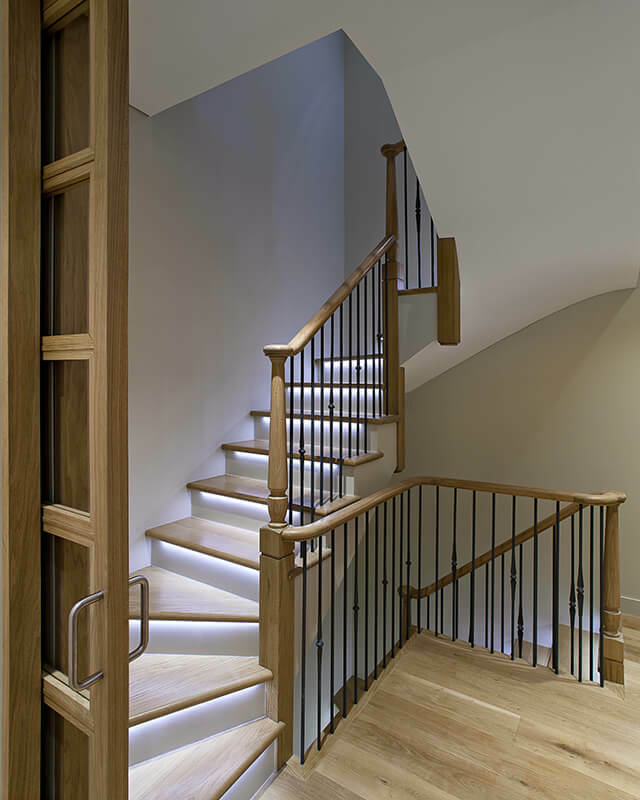 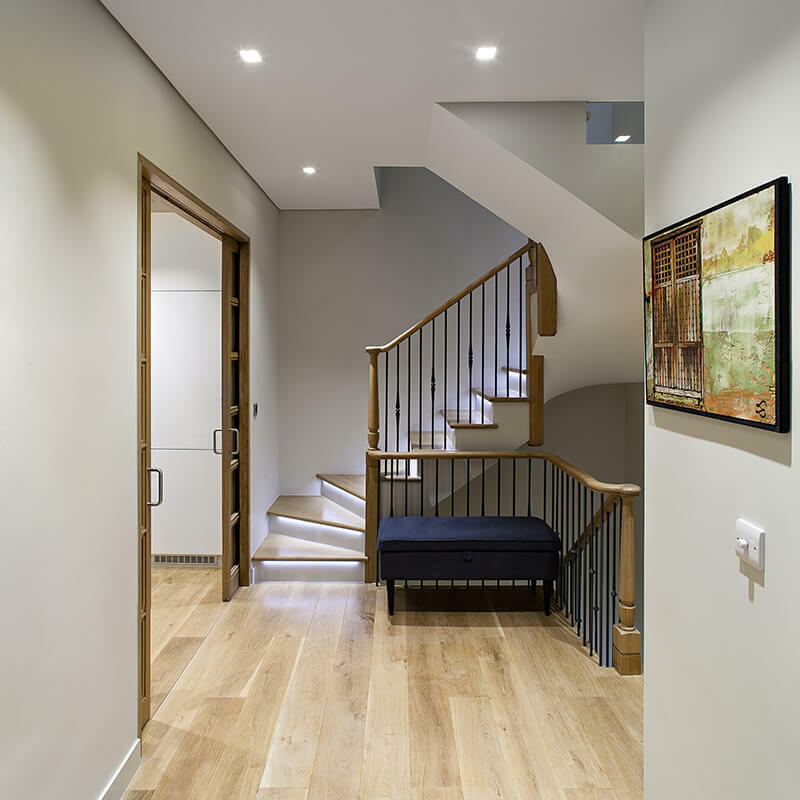 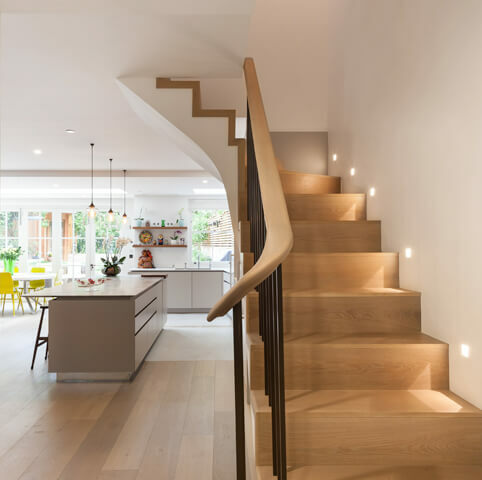 The works included the replacement of a steel industrial looking staircase and replacing with bespoke modern timber clad with illuminated glass staircase. 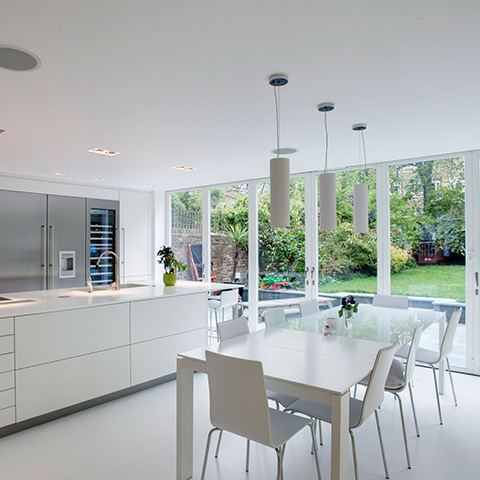 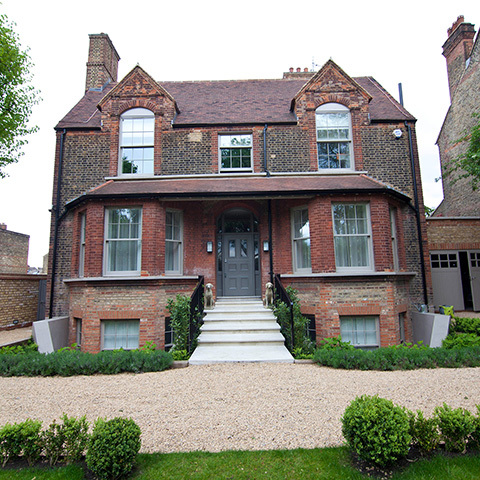 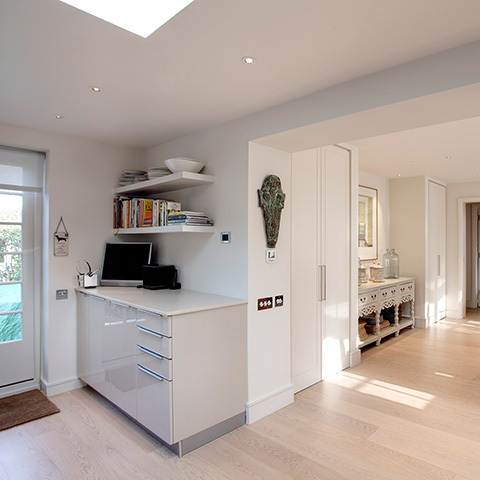 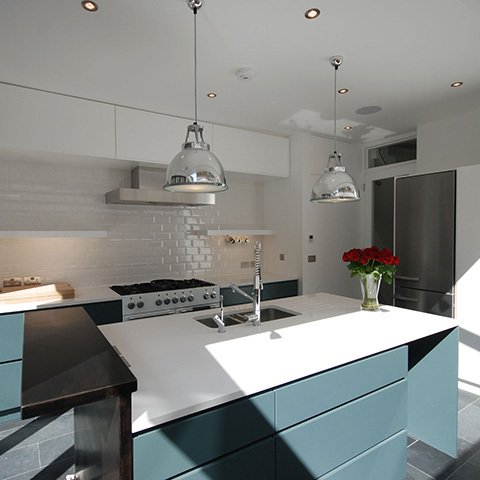 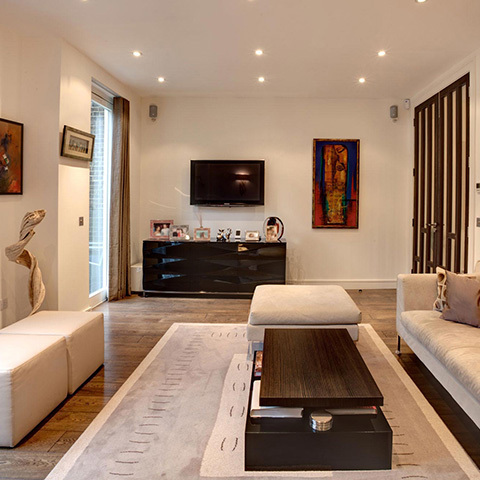 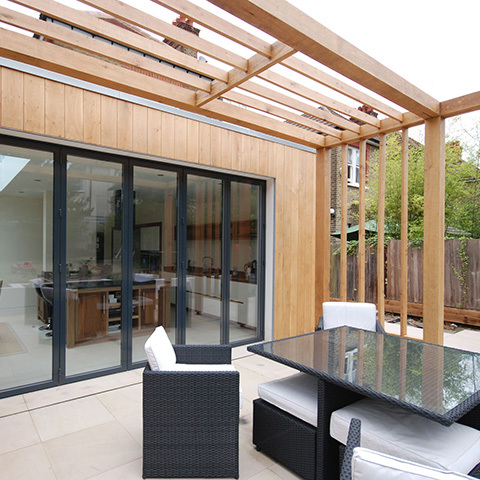 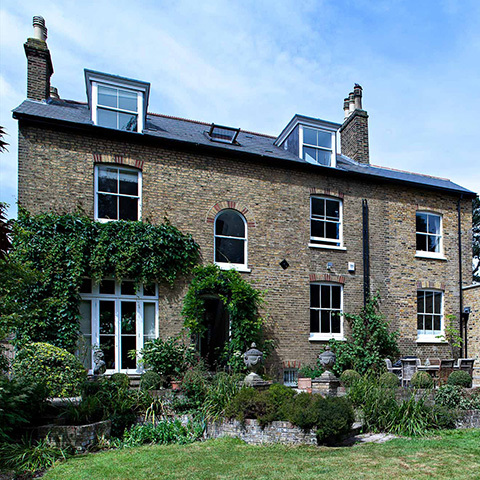 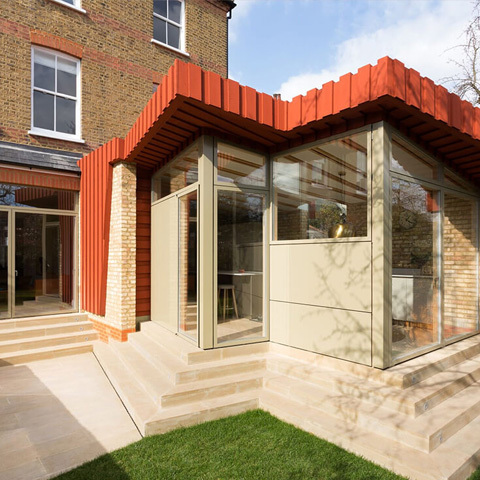 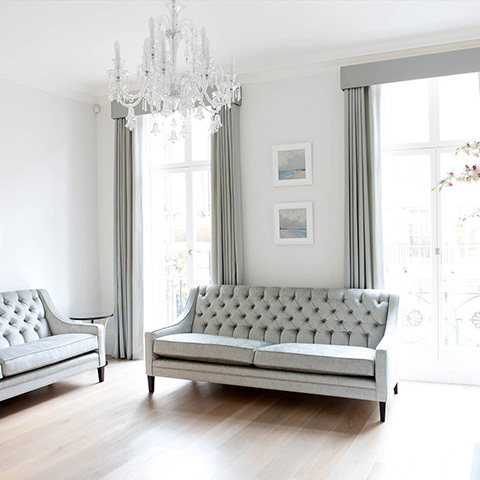 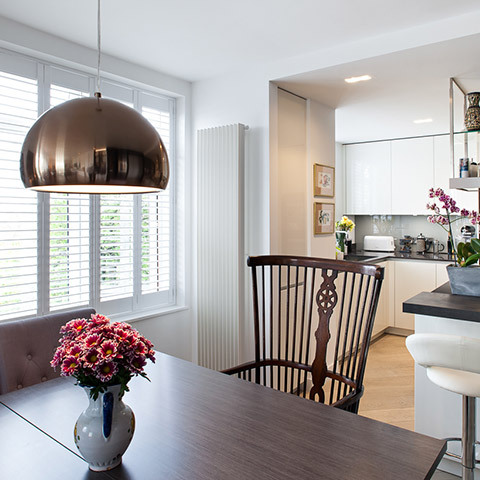 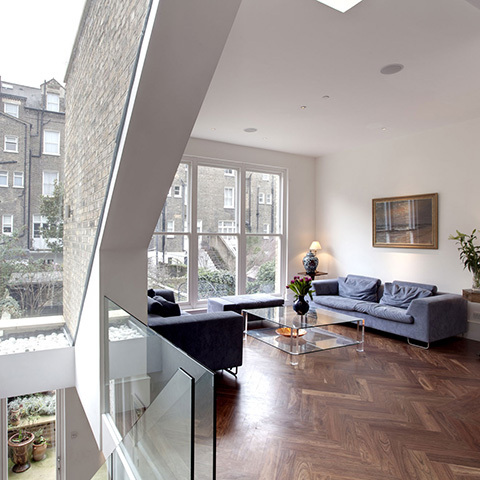 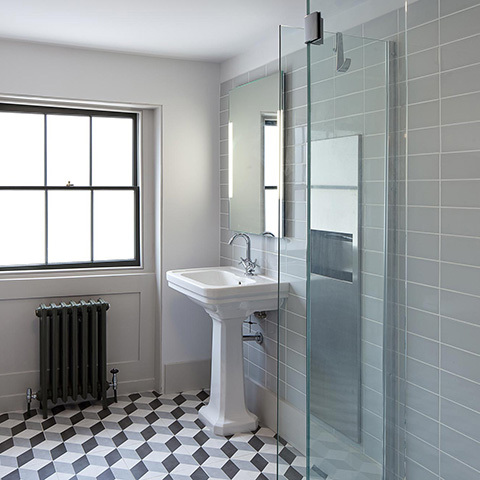 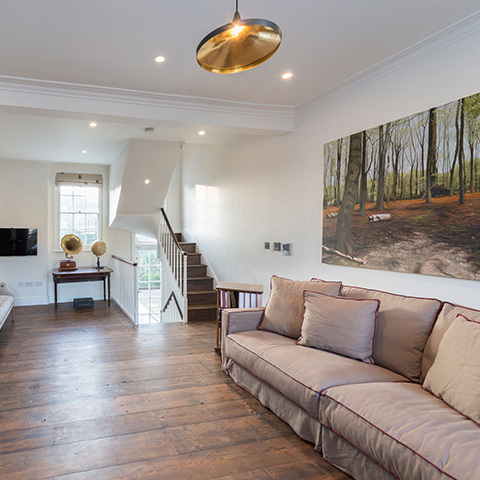 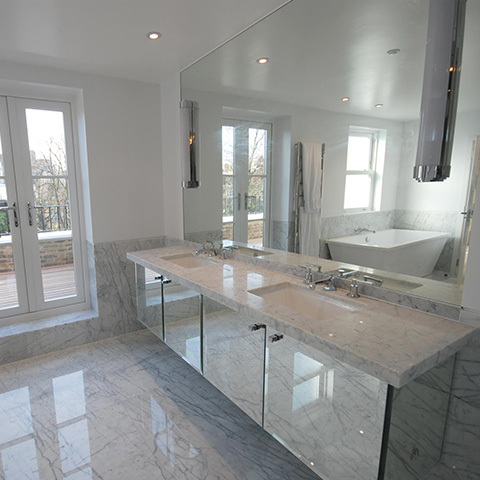 The refurbishment created a beautiful and modern spacious open plan property with roof terrace. 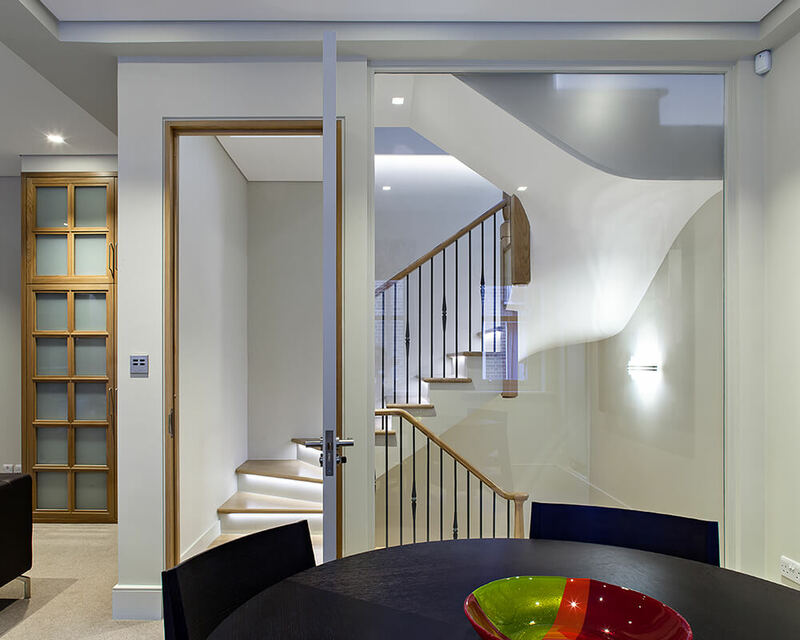 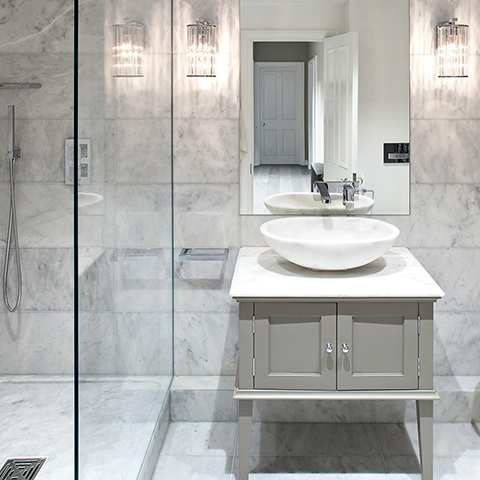 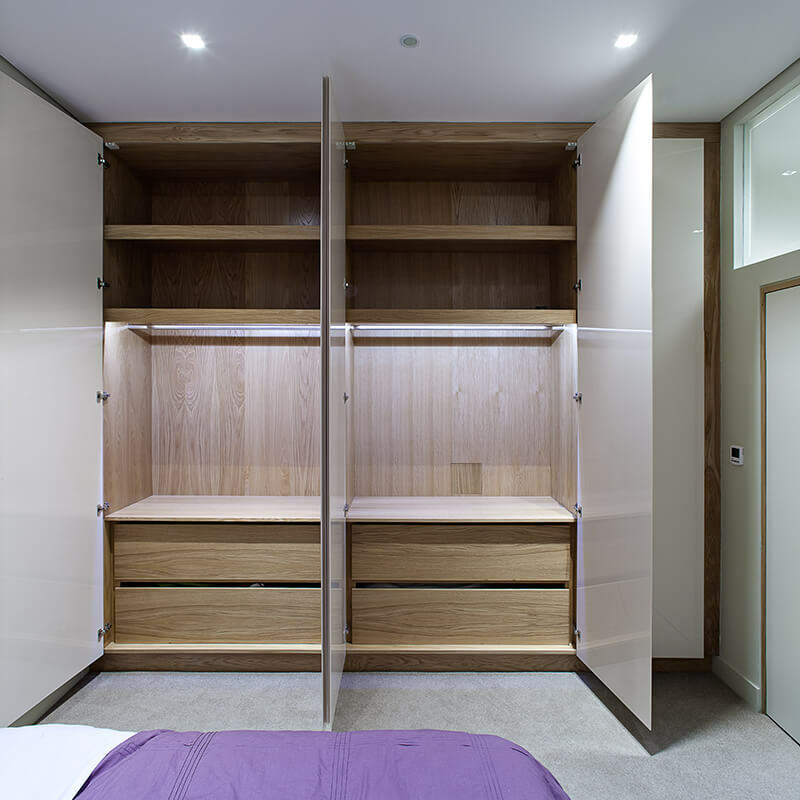 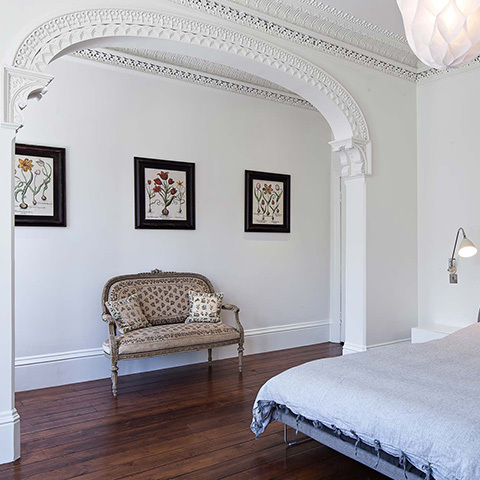 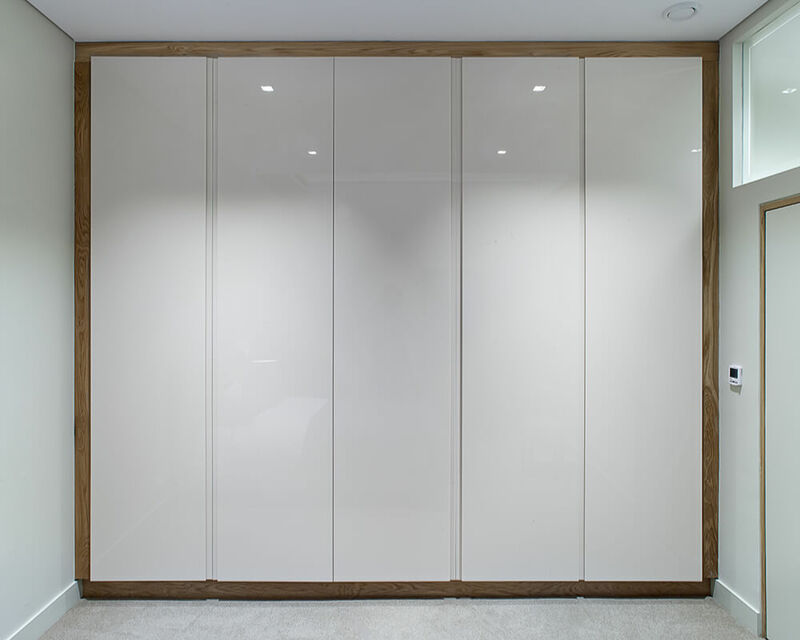 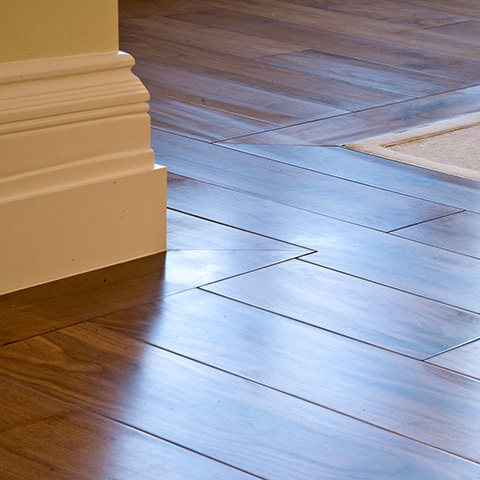 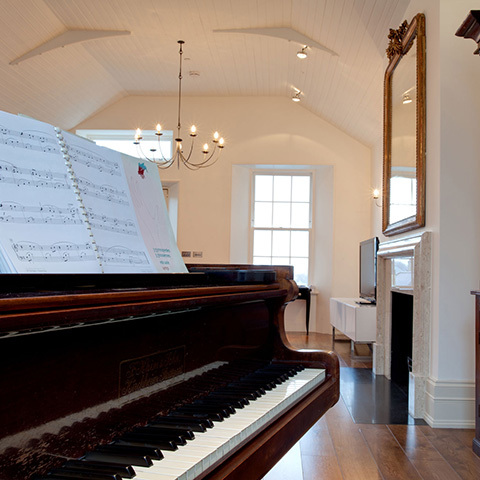 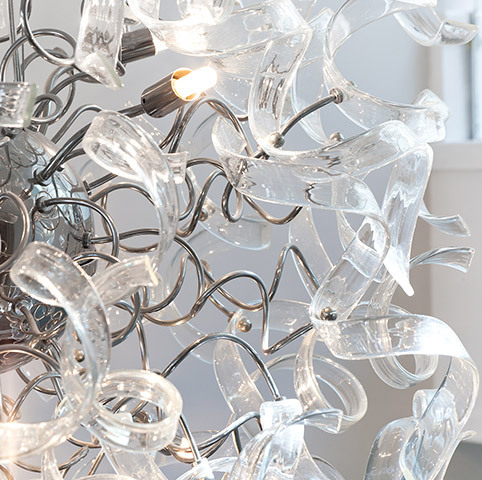 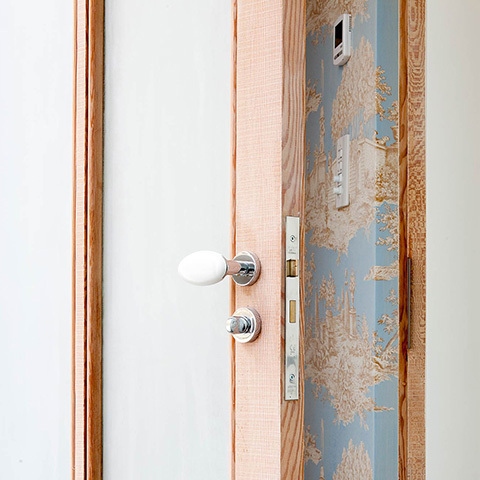 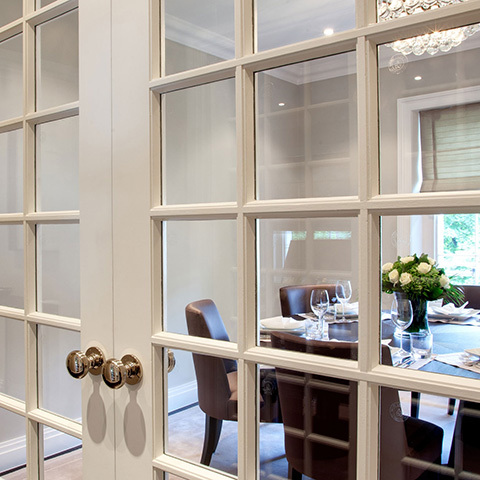 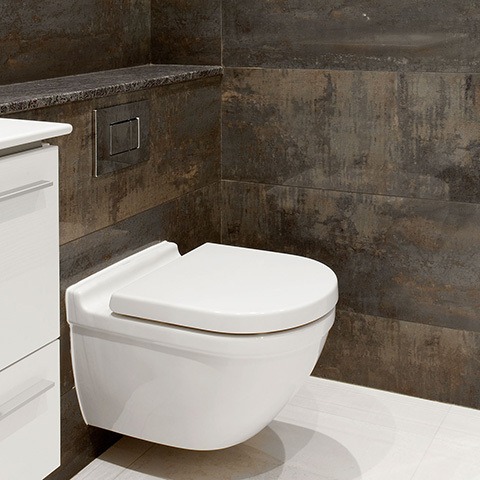 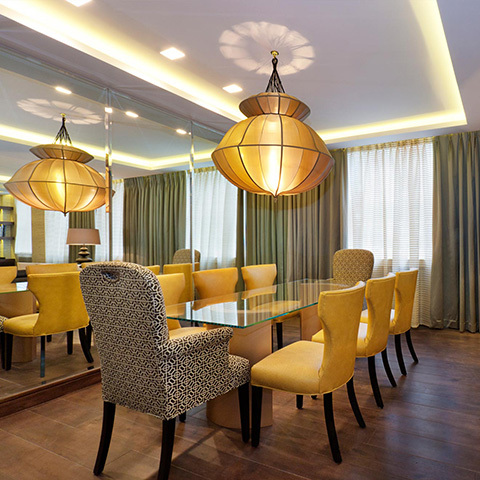 On this project MH Costa worked closely and directly with the client developing the design and finish details together.